No, I am not talking about Etta James famous song! I am talking about finally finishing LAST year’s quilt project! Ok, ok, it’s not COMPLETELY finished; I still have to do the binding once the whole quilt is finished, but the most difficult and time-consuming part is finished; the top! WOOOOTT!! 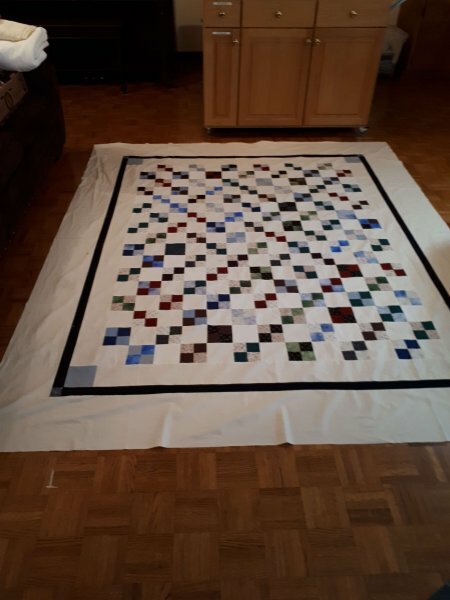 In January, once its quilted, I will finish up the binding and my sister can get her birthday present – only 10 months late! That’s not bad! Just sayin’.